← The Rock Of Edinburgh . . . In the decade following the war, more and more produce was being shipped around the world. 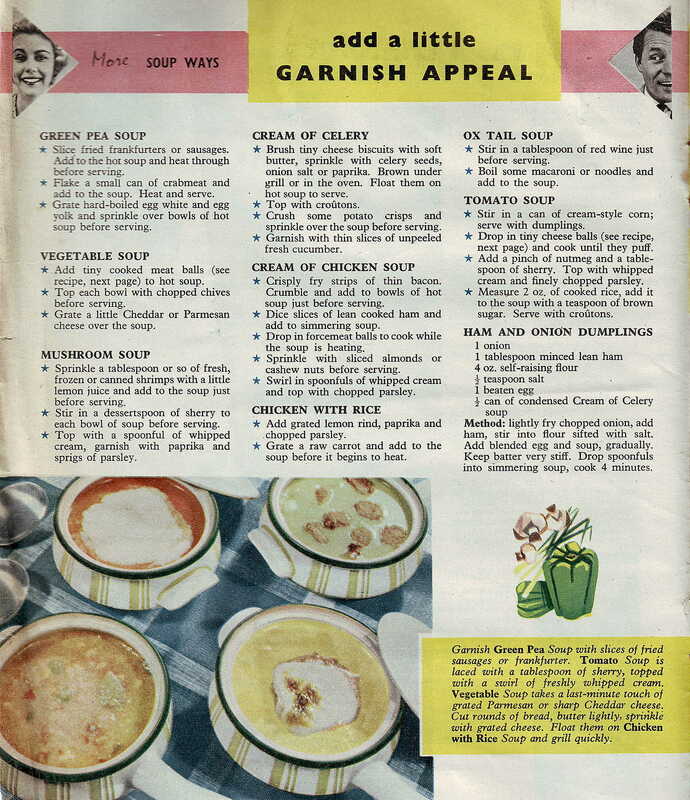 The experiences of having to provision armies in far flung places, though not a new concept, had speeded up the development of ‘ready-to-eat’ foods. 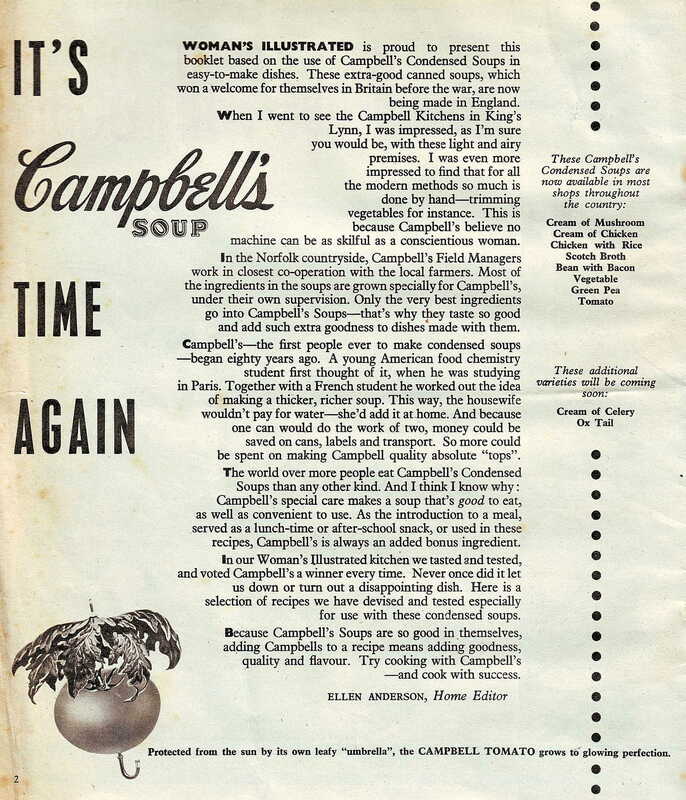 Tinned meat, vegetables and soup began to appear in shops and to boost sales, manufacturers produced recipe booklets for their products, like this one for Campbells! This supplement is dated around the early sixties and is quite interesting in its ‘bigging up’ of a product outside of the more normal advertising practices. It was in the more flamboyant, in-your-face style of American advertising than we Brits were accustomed to. It takes on the feel of commercial television before commercial television was available! 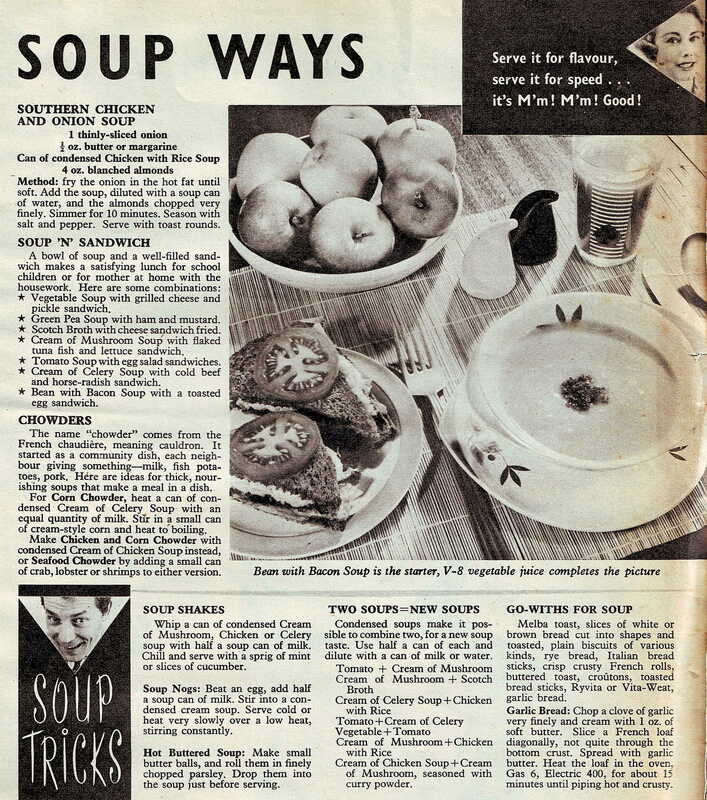 It’s not that the recipes are no good, it’s just that they would probably be of more use now than they were then. 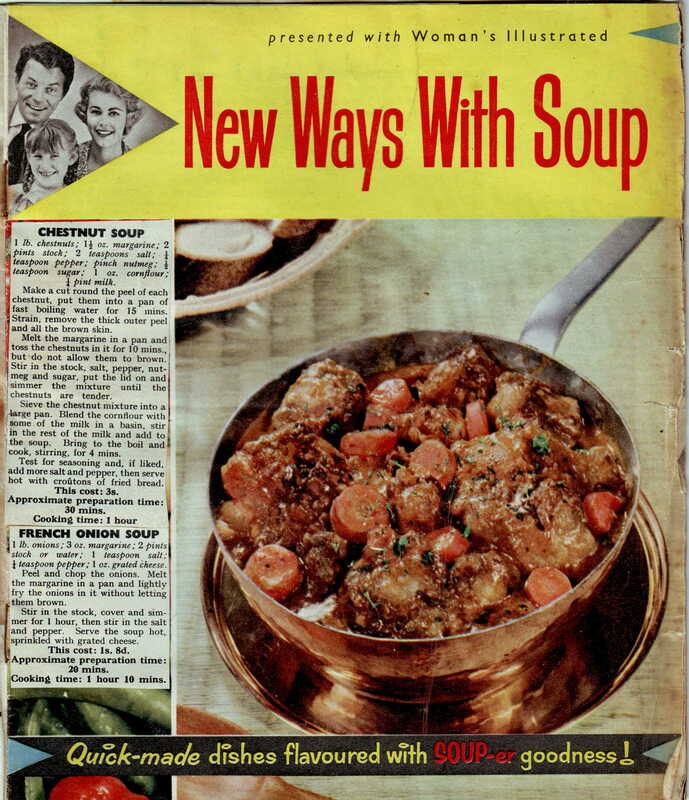 For myself, I find the increase in the consumption of convenience foods against the decline in home cooking in this country to be quite worrying. This entry was posted in Sauces, The Evolution Of . . . and tagged canned, convenience food, recipes, soup, traditional. Bookmark the permalink.